Content Patcher loads content packs that change the game's images and data without replacing XNB files. 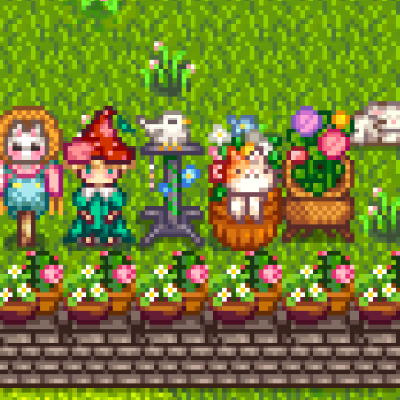 Content packs can make changes dynamically based on many in-game details like weather, date, festivals or events, spouse, relationships, whether you have a Joja membership, etc. Unlike XNB mods, these content packs get automatic update checks and compatibility checks, are easy to install and uninstall, support localisation automatically, are less likely to conflict, and are less likely to break due to game updates. This mod doesn't do anything on its own; you need to install content packs separately. Install this mod through the CurseForge client. Install any content packs you want the same way. Note: Content Patcher packs on other sites can be unzipped into your game's Mods folder. This lets you edit the game's XNB images/data with zero programming, optionally with features like conditions, tokens, and player settings. See the modder documentation for more info and a guide to creating content packs. Works in single-player and multiplayer (see multiplayer compatibility notes). Note: if you play on Linux/Mac and the game freezes with this mod installed, reinstalling Mono should fix it.